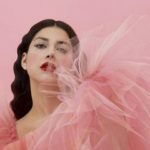 As national finals are unfolding across Europe and the puzzle of Eurovision 2019 entries is been progressively formed , the Greek representative Katerine Duska revealed on her Instagram account that her Eurovision entry will be entitled “Better Love”. Katerine is behind the song herself, in collaboration with the musician Leon of Athens. The Greek entry will go public by Katerine’s record label Minos EMI/Universal, the first days of March. 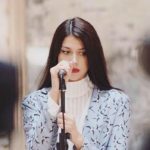 After ongoing reports and rumors the last three months, the Greek Broadcaster ERT officially revealed on the channel’s evening news program that Katerine Duska will represent Greece in Eurovision 2019. Katerine Duska is singer and songwriter herself . She was born in Monteal, Canada while now she lives in Athens. Apart from classic guitar in the Music Academy she has studied Law in the University of Athens. On March 13 2013 she releaed her first song , a demo version of her known now song “One in a million“.Not long after record company MINOS – EMI tracks her down and signs with her a contract. In 2015 she released her first album entitled “Embodiment“, while the song “One in a million” which is included in the album got it’s videoclip. One of her album’s songs ,“Fire away” was featured in Nescafe’s advertising campaign in Canada. 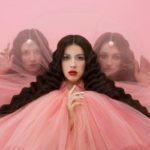 Dimitris Paadimitriou, ERT’s head of working team for Eurovision, justifying the broadcaster’s choice, said that she belongs in a generation of acts that bring something new in the music scene and alternative elements with their own personality. Katerine is an act of this kind with brilliant vocal skills and her own artistic character. Greece has been drawn to compete in the second half of the first semi-final evening on 14 May.